Dr. Wayne Dyer said that inspiration comes when we move back in-spirit with a power greater than ourselves. When we let our EGO dictate our life, we Edge God Out and fall out of being in-spirit. Being in-spirit is a significant theme of my novel, Life in Harmony. The theme plays out in the central couple’s return to a more natural setting (God is represented in nature). The theme of being in-spirit is also represented as Kate opens up her acceptance of being one with a heavenly spirit. When I first began developing the story, it was going to be nothing more than a ghost story but then inspiration took hold of the story and it went further down a path of spirituality than I had originally intended. I had always been drawn to stories that included God’s use of the supernatural to make his point. The bible is full of God’s direct intervention in the lives of common people. It was an angel that visited both Mary and Joseph separately and told of the baby she was to bear. When you look at the story of Christ’s birth alone, it is filled will God’s divining hand in ensuring things happened as intended. From the use of angels to the wise men, God guided the course of Mary and Joseph’s life in the opening of the gospel story. 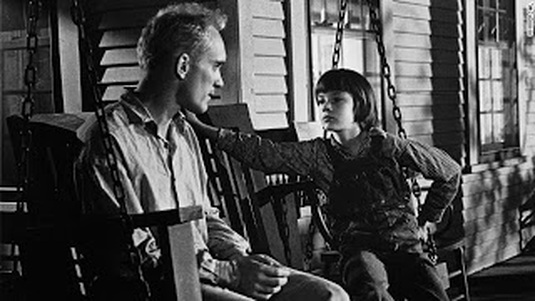 To Kill A Mockingbird, Shoeless Joe Jackson/Field of Dreams and the movie Grand Canyon are favorites of mine because they dance very close to a divine force watching over us, guiding us, toward a greater goal. Being in-spirit comes in many forms in these titles and it reminds us that God is at work and uses whatever means possible to ensure his “plot” is followed. Whether it’s a stranger on the street or homeless man in Grand Canyon, the angelic Boo Radley in Mockingbird or J.D. Salinger in Shoeless Joe Jackson (character was renamed in Field of Dreams), we are reminded that God works out the details of inspiration in whatever manner necessary. In Life in Harmony, our main characters, Kate and Michael, are at a crossroads and inspiration gathers like a rolling stone in the beginning of the book. A hand rubbing a back inspires an agreement for a trip. The open road with seemingly endless possibilities leads to a turn off that changes the course of events (pay attention to how the roads in the book come to dead ends and how that plays a part in the journey). Inspiration comes from our willingness to be joined with a greater power than ourselves. My inspiration to this philosophy came from Dr. Dyer and in my appreciation for use of supernatural elements in the books and movies I mentioned above. Life in Harmony shows what life out of inspiration (not being in-spirit) and in spirit is like. The term supernatural these days takes on a non-spiritual element and is more aligned with scary elements related commonly to ghosts (another word with more negative connotations than it should have…will save my thoughts on that for later). Merriam-Webster’s dictionary defines supernatural as being unable to be explained by science or the laws of nature; relating to… a God. Being inspired literally means being aroused or imbued with the spirit to do something, by supernatural or divine influence. 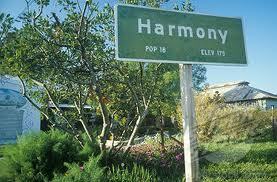 Life in Harmony is a story inspired by and about being in-spirit with something greater than ourselves. 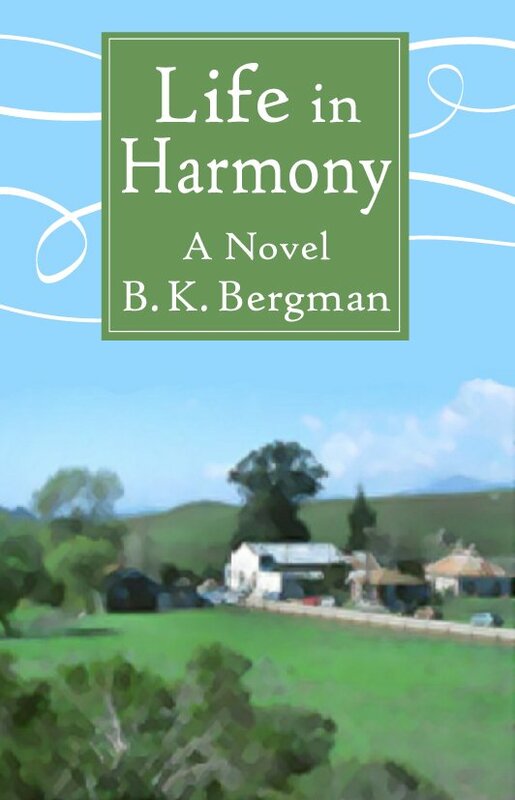 If you haven’t picked up my novel, Life in Harmony, yet please buy it today (click here for more info). If you have read it, let me know what you thought. I hope you find it inspiring. An additional resource for inspiration is the Dr. Wayne Dyer book Inspiration: Your Ultimate Call. I was saddened by his death earlier this year as his books and lectures changed my focus in life. I will always be grateful for his inspiring me to get back to what my Spirit wanted from me – to write. In my novel, Life in Harmony, the central couple buy a small farmhouse that appears to be inhabited by the ghost of a small four-year-old girl. The question is raised through much of the book about what exactly this apparition is. In the small town of Harmony, California (population 18), the small group of residents have varied opinions on what exactly this girl and other appearances in town could be. A 2007 Fox News survey reported that nearly fifty percent of all people believe in ghosts and nearly a quarter of those believed they had actually seen one. What makes someone believe? Is seeing believing? Obviously not, if nearly half of all people believe and less than half of those have seen. Just what is it that makes people believe in things they have not seen? In Life in Harmony, the statistics from the Fox News survey are fairly similar to those in the town in the story. There are just over a quarter of the people who have seen a spirit and about half who believe even without seeing. What’s most interesting about Life in Harmony is how the belief in a ghost or spirit works as a metaphor for our spiritual faith. It was important for me as a writer to give those 18 residents of Harmony enough spiritual variety to demonstrate the spectrum of our world views toward spirituality, faith and belief in the unknown. Harmony has religious leaders and religious lay people represented, as well as non-believers and those who dance on the fringe of choosing to believe or not. All with various self-actualizing outcomes. In my story, the ghost is presented positively and not at all in the horror genre. What if the ghost you saw were an angelic, spiritual one? How would that change things for you? Those of us who believe in spiritual things understand there are both holy and evil spirits that dwell in the world. In Life in Harmony, the focus is on the holy ghosts. There are those moments in our lives, even in nature, where reality defies logic. explained. While this type of phenomenon has scientific explanations, those who have witnesses it, understand how unreasonably powerful the sight of it can be. 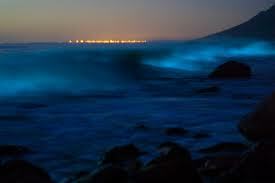 It doesn’t seem logical for us to see glowing greens and blue in the night surf and yet we’re seeing it. The world is surrounded by scientific logic and yet there are things that defy common logic all the time. We live in harmony with both our natural world and the people around us as well as in harmony with the spiritual realm. What do you believe? Do you believe in ghosts? What about spiritual or holy ghosts? What proof do you have to support your beliefs? Share your comments below. Thanks for reading! 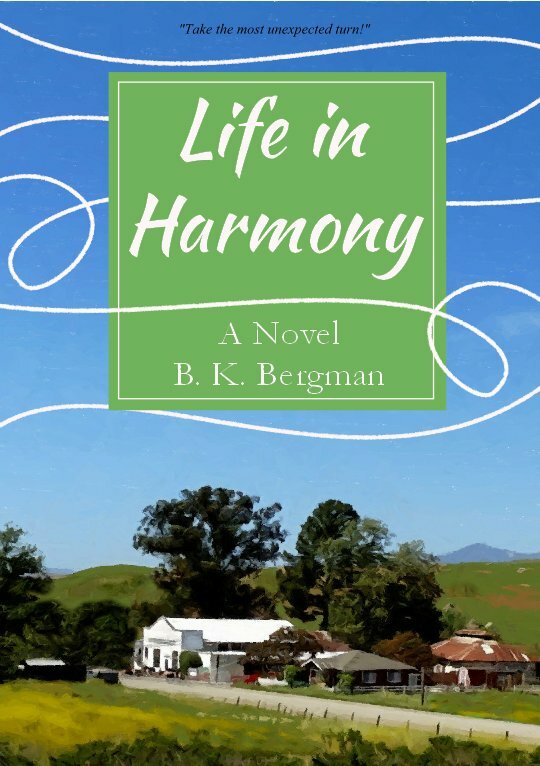 If you are interested in reading more about the forthcoming novel, Life in Harmony, subscribe to this blog and you’ll receive e-mail updates every time there is something to share.